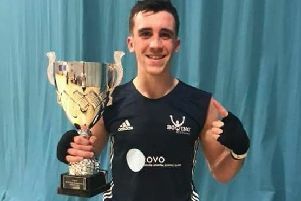 Lochend’s reigning champion 22-year-old Matthew McHale successfully defended his title on Saturday night in North Lanarkshire with an unanimous victory over Stephen Donald of St Francis in their 56kg bout. However, there was disappointment for Sean Spence, also of Lochend, as he lost by a split decision to Greenock’s Robbie McKechnie, the fighter from the west taking the 64kg title by the narrowest of margins. Spence, who won the title last year, is also the current British champion but will relinquish that title next month. In the men’s light heavyweight duel (81kg), Lochend’s James Nelson suffered an unanimous defeat to Bellahouston’s Robbie Connor. However, Leith Victoria’s sole representative Megan Reid was crowned the new Scottish women’s 64kg champion with a second-round stoppage of Kirkintilloch’s Stacey Carr.